The window for ideal fall fishing seemed to open and close more quickly than usual this year. High temperatures across much of the ice belt have been below freezing for about a week now. Some overnight lows have approached zero degrees. Skim ice has formed on ponds and the shallow bays of some lakes. This has some people champing at the bit to get out on hard water and drill their first holes of the year. Be patient. We’re not yet two full weeks into November. North Dakota deer opener was yesterday. The earliest I have ever been out on the ice was the day before Thanksgiving in a year colder than this. Refer to this graphic for general guidelines for ice thickness. Lakes don’t freeze at a uniform thickness. Different water temperatures, snow, and wind all play a part in the formation of the ice sheet. Sometimes a change in ice thickness is rapid. The only way to tell ice thickness much of the time is to drill test holes as you walk. Especially when there is snow on the surface of the ice, you won’t be able to tell just by looking at it. At early ice, drill a hole every 15-20 feet on a fresh body of water. It may seem cumbersome, but coming home safely at the end of your trip is worth the extra time spent. Remember, ice is never 100% safe. The Minnesota Department of Natural Resources recommends at least 4″ of clear, hard ice for foot traffic, at least 5″ for snowmobiles, at least 8-12″ for small automobiles, and at least 12-15″ for trucks. Remember also that ice thickness is not uniform. If ice appears safe near shore for vehicle travel, it may not be in deeper water. These are suggested minimums. If you’re not sure, don’t take a risk on it. Also, always fish with a buddy on early ice. If one goes through, the other can help get him out or, if necessary, call for help. Tell someone else where you will be fishing and when you expect to be home. A spud bar is a long, heavy ice chisel that you jab into the ice to test its thickness as you walk. It is not a substitute for drilling holes to check the ice condition. Every step or two, give the ice a good check by forcefully ramming the spud bar into the ice. If the ice holds up, proceed with caution. If the spud bar goes through the ice or the ice cracks more than normal, carefully turn back and gently head back toward shore. Many of the new ice fishing bibs and jackets over the last few years have included built-in flotation to help in case someone falls through the ice. These are a great option because they serve a dual purpose of keeping you warm and safe. In a pinch, a life jacket might suffice. However, taking into account the added weight and bulk of winter weather gear, it may not be an ideal option. If the worst case scenario happens and you fall through the ice, it is really difficult to get yourself back topside because ice slick. Without a pair of safety ice picks it might be impossible to pull yourself back onto the surface. I always make sure I’m equipped with a pair within easy reach no matter how thick the ice is. If there isn’t snow cover on the ice, it’s really hard to walk on without falling on your face. Putting cleats on over your boots helps with traction. Not only is this important when you’re running for a tip up with the flag up, but it can also be important if your fishing buddy needs help in an emergency. Need an ice fishing fix now? The beginning of the ice fishing season means that gear manufacturers and retailers are eager to get the season’s new products out in front of customers. There are a number of shows coming up that usually feature the best deals of the year and useful seminars from the best anglers in the business. The Dakota Angler Ice Institute is going on this weekend (Nov. 10-12) in Sioux Falls, SD. Scheels Ice Fest is coming up next week (Nov. 17-18) in Fargo, ND. The St. Paul Ice Fishing Show is coming up in a few weeks (Dec. 1-3) in St. Paul, MN. Of course nothing beats the thrill of actually pulling a fish through a hole for yourself. However, there are some awesome shows on the internet that feature experienced anglers showcasing a variety of gear and techniques on bodies of water that may be new to you. It can be a great way to find a destination fishing trip for the season! 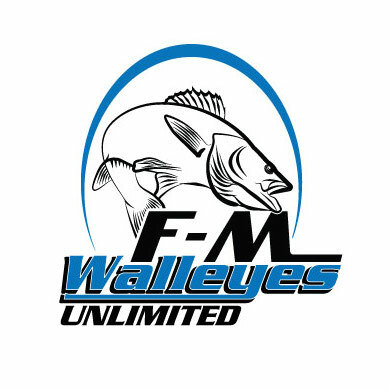 Check out In-Depth Outdoors, Uncut Angling, and Fish Addictions. I need to hammer home the most important message of this post: BE SAFE. Especially in the age of sharing photos on social media there is a certain desire to be the first person on the ice for the year. Take this as a humbling reminder: nobody remembers the first person on the ice from last season. The same will be true next year. You are not invincible. Your family wants you to come home. Take it easy out there and make sure your first trip on the ice for the season isn’t your last.